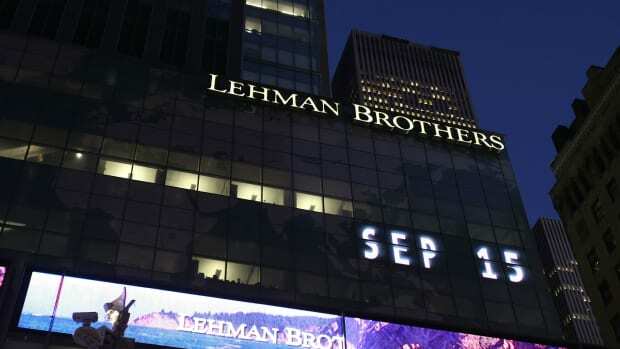 Lehman ran into some trouble in September 2008, as you may have heard. On September 9, 2008, one week before Lehman&apos;s bankruptcy filing, Citi decided it might be a good idea to get some security for its Lehman FX clearing exposure, in the form of getting set-off rights against $2 billion that Lehman Brothers Holdings (the public parent company) had on deposit at Citi. On September 15, 2008, after Lehman Brothers Holdings had filed for bankruptcy, Citi decided that it might not be a good idea to continue extending credit to Lehman Brothers Inc. (the non-bankrupt broker-dealer subsidiary) and so terminated its FX clearing arrangement. Lehman Brothers Inc. begged Citi to reconsider, and Citi agreed to provide basically two more days of clearing (through September 17) in exchange for $1 billion of new collateral posted by Lehman. Lehman Brothers Inc. continued to not pay Citi amounts that it owed. So Citi again stopped clearing for Lehman. This time Barclays, which had agreed to purchase the Lehman U.S. broker-dealer operations, begged Citi to reconsider, and Citi agreed to provide basically two more days of clearing (through September 19) in exchange for $700mm in new collateral posted by Barclays. Lehman Brothers Inc. again continued to not pay Citi amounts that it owed, and was placed into SIPC liquidation on September 19. Citi again stopped clearing for Lehman, for real this time, and closed out its positions at a loss of something like $1,260mm. It set off $1bn of these losses against the collateral posted by Lehman. Then Barclays called Citi, in October 2008, and asked if it could have its $700mm of collateral back. Citi spent four and a half years trying to get its money back from the Lehman bankruptcy proceedings, got some of it back, and now, four and a half years later, is suing Barclays for the remaining $138mm. I mean! The rest of the lawsuit is all sort of polite sniping about who should have done what when - there&apos;s a mildly amusing dispute about whether Citi can get the $11mm in FX commissions it wants to charge the ghost of Lehman for closing out its trades3 - but honestly Citi you don&apos;t give the collateral back. Citi wasn&apos;t just exposed to Lehman risk, it had actually lost money - hundreds of millions of dollars - that was supposed to be secured by that Barclays collateral. It nonetheless gave the money back based on an understanding that, basically, it would sue Barclays for the money at some time in the distant future. And now it has. Or so I would have thought. Am I wrong? I&apos;ve never been a clearing bank, and it&apos;s true that my image of how to do it properly is informed mainly by the quite alpha example set by JPMorgan in its dealings with Lehman and, for that matter, MF Global. But for a vast-exposures-and-slim-margins kind of business, that alpha model seems like the right one, no? If you&apos;re not losing a few lawsuits over your overly aggressive actions to protect yourself, you&apos;re probably not doing enough to protect yourself. If you&apos;re bringing the lawsuits it&apos;s hopeless. 1.From the complaint (paragraph 49): "By the end of the day on September 18, 2008, as a result of LBI&apos;s continued failure to repay short balances owing and Citibank&apos;s withholding of certain long balances, Citibank had a total short position in its U.S. dollar account of approximately $17 billion and long and short positions in fifteen foreign currencies, which netted to a long position worth approximately USD $16 billion." A few weeks after the Sale Transaction [in which Barclays acquired Lehman assets] closed, Barclays requested that Citibank return the $700 million cash collateral deposited with Citibank, and rely for repayment of its CLS [FX clearing] losses solely on an unsecured indemnity from Barclays. Given Citibank&apos;s longstanding relationship with Barclays and Barclays&apos; creditworthiness, Citibank agreed. Beginning in October 2008, the parties negotiated replacing the $700 million in cash collateral with an unsecured indemnity. The substantial time and resources devoted by Citibank&apos;s FX traders to unwind LBI&apos;s CLS positions diverted them from conducting their own trading in this highly volatile (and hence potentially highly lucrative) market. In performing the unwind trades, Citibank passed on the rates it received in the market directly to LBI. Partially to compensate Citibank for its time, efforts, and lost opportunities, Citibank&apos;s FX trading desks applied a reasonable commercial spread of 10, 15, or 20 basis points to these trades, depending on the currency&apos;s liquidity and the amount Citibank was forced to unwind. These spreads are consistent with the spreads Citibank charges clients for handling similarly-sized orders. Of course they could have lost money too. JPMorgan not only took billions of dollars more than it needed from LBHI, but it also accelerated LBHI&apos;s freefall into bankruptcy by denying it an opportunity for a more orderly wind-down, costing the LBHI estate tens of billions of dollars in lost value. JPMorgan accomplished its design, in part, by using the threat that it would stop providing LBHI&apos;s subsidiaries, including Lehman Brothers Inc. ..., with the essential clearing services that were the lifeblood of Lehman’s broker-dealer business. With this financial gun to LBHI&apos;s head, JPMorgan was able to extract extraordinarily one-sided agreements from LBHI literally overnight. JPMorgan then relied on those overreaching and invalid agreements to extract billions of dollars in collateral from LBHI shortly before the bankruptcy, collateral that JPMorgan used not for clearing exposures, but to secure billions of dollars of grossly exaggerated exposures that it now claims were incurred as a result of Lehman’s bankruptcy filings. That&apos;s from paragraphs 1 and 2 of the First Amended Complaint in Lehman&apos;s bankruptcy suit against JPMorgan, filed September 15, 2010, and I kind of can&apos;t believe I hadn&apos;t read it before. The whole thing is wild, stirring stuff. 5.Related: per that complaint JPMorgan was extorting more collateral on August 18, 2008, and "LBHI was insolvent and/or undercapitalized," or so claims Lehman&apos;s estate anyway. 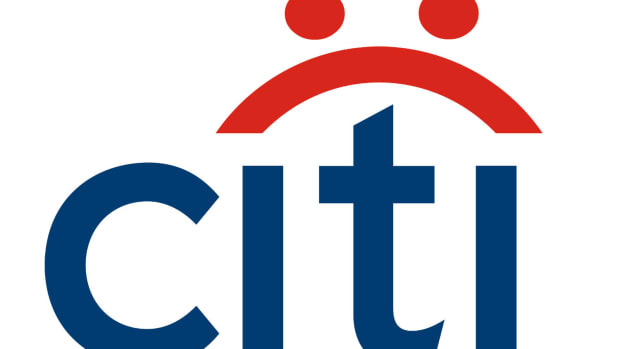 Citi didn&apos;t ask for more security until September 9.